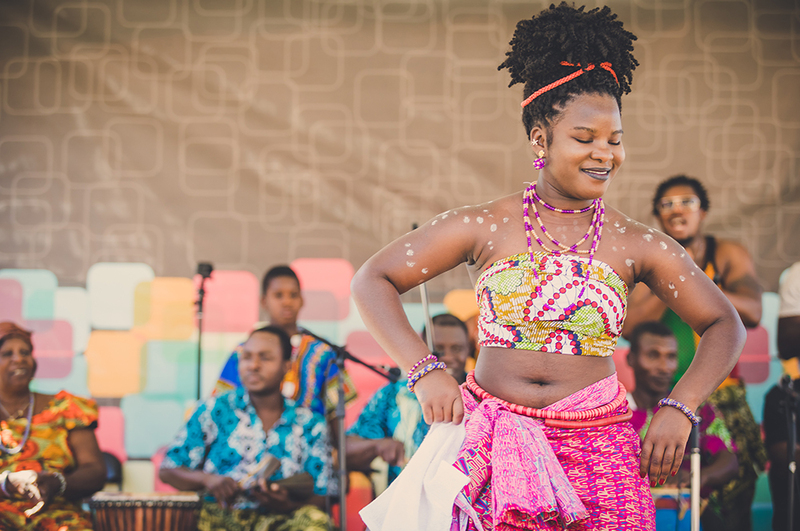 The Africa Zone, located on the South end of the Minoru field, will feature a lineup of amazing artists, fun activities for all ages and a variety of vendors showcasing everything from batiks to bolga baskets! 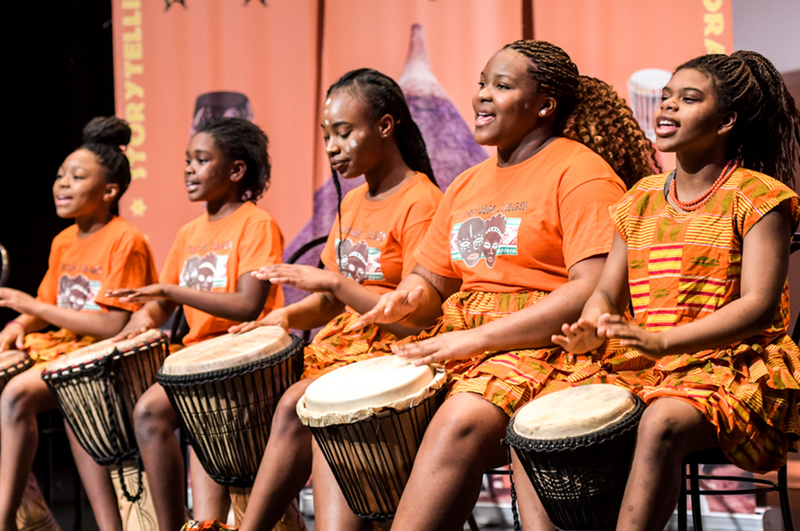 In the Africa Pavilion, view a variety of authentic arts and enjoy an African drumming demonstration led by Ezeadi Onukwulu. Plus, get your hair braided or have a henna design decorate your hands. All ages and skill levels are welcome to participate in the drumming demonstration. 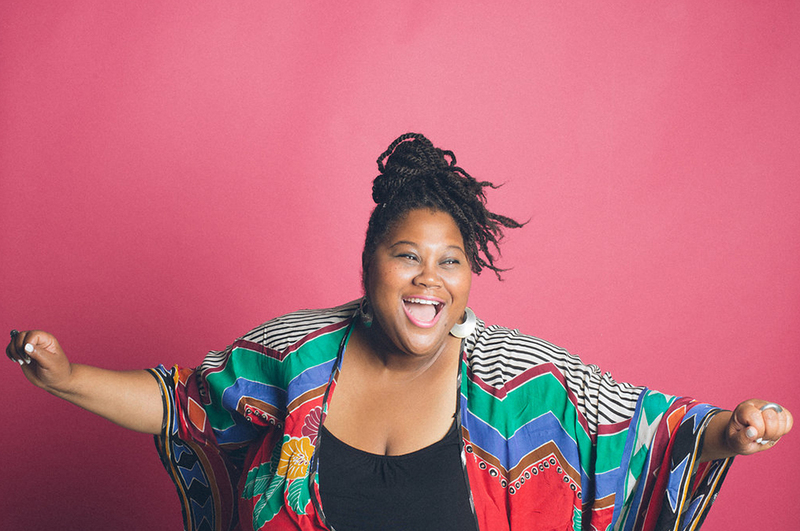 Vibrant, genuine and soulful, Dawn Pemberton has deep musical roots that take her powerful voice from gospel, soul, to jazz and funk. Her latest release “Say Somethin’” won the 2015 Western Canadian Music Award for Urban Recording of the Year and crowned her as Canada’s newest “Queen of Soul”! Dawn has become a staple of the Vancouver music scene and can often be found tearin’ it up as a vocalist and “go to girl” for live performances and studio sessions. A passionate performer, Dawn crafts her music with a sense of adventure, quirkiness, and serious groove and shapes it into her own unique and dynamic package. Tight, expressive and bold, Dawn will hit you where it counts, funk you up and make you say “Go ‘head!”. 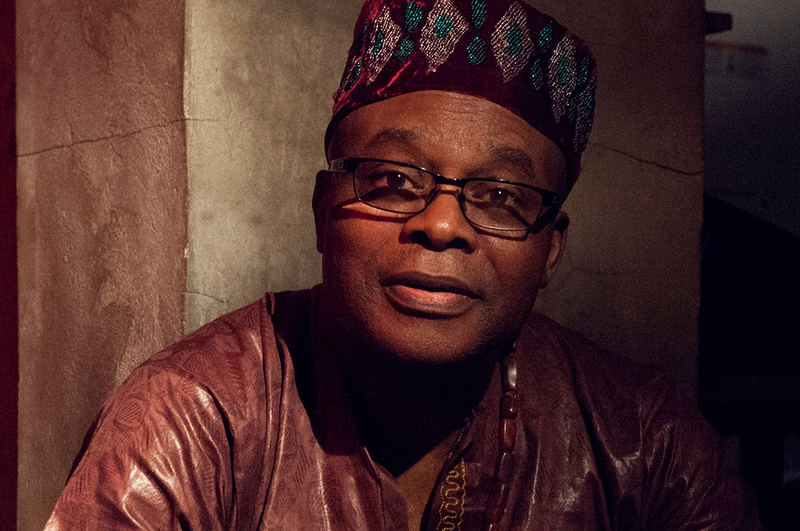 Jacky Essombe is a “cultural liaison” between the African and the Western worlds. Accompanied by Master Percussionist Yoro Noukoussi and other rhythm enthusiasts, she shares the joy, excitement and sense of togetherness found in African villages. Together, they are committed to bringing ALL people together in authentic connection and community celebration, and their performance will leave your heart beating faster with joy and excitement. The VOC Sweet Soul Gospel Choir are focused on a fresh and authentic sound with 20 years as a community choir under the direction of Checo Tohomaso. The choir was founded by Checo, with the goal of uniting people of different cultures and beliefs to deliver a message of love, joy, peace, hope and healing through their common passion: singing. 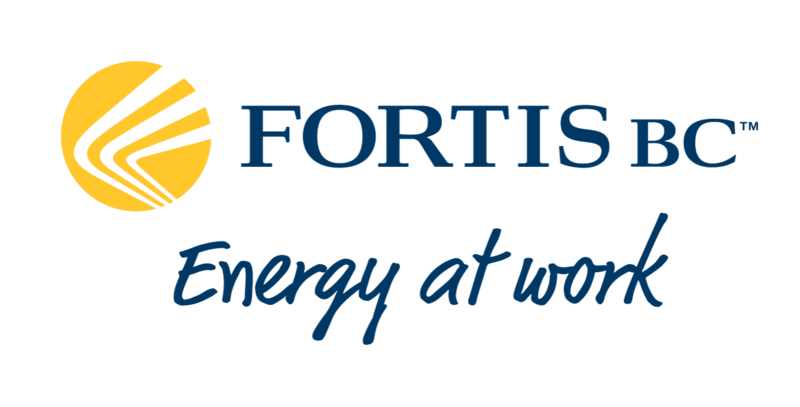 We sing six-part harmony and our 130 members include men and women of all ages, ethnicities and religions. 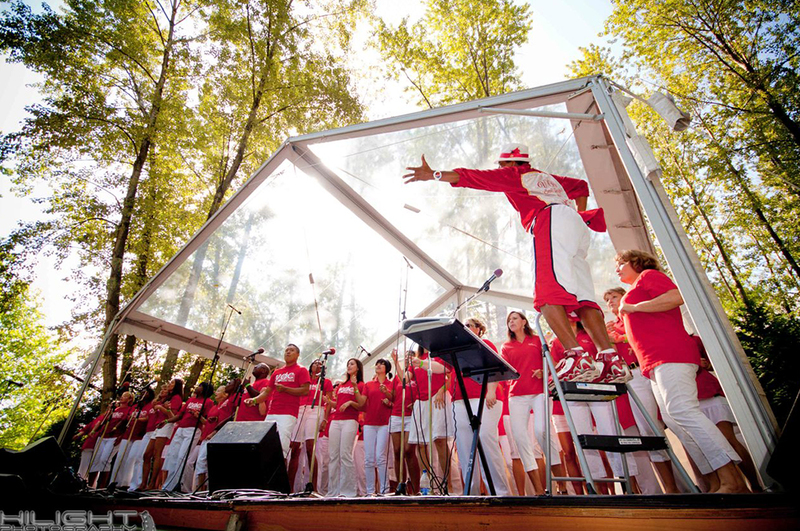 Delivering a high-energy, positive vibe, our dynamic choir mixes together the sounds of Soul, Gospel, R&B, Jazz, Hawaiian, Calypso, and Reggae. This community choir is guaranteed to have you clap your hands and stomp your feet, dance in the aisles, and bring a smile to your face! Born and raised until age 20 in the Igboland in the place called Nigeria, Ezeadi Onukwulu has been in love with music since childhood. His first musical outing was with cousins during the Nigeria/Biafra war. Surviving the war he was able to finish highschool and found his way to Canada where he acquired a business degree from Simon Fraser University in Burnaby. A series of unfortunate/fortunate?! events led him back to Arts and Culture. His contributions and presence in the World/African Music scene is legendary. 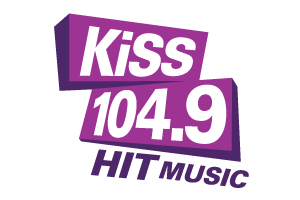 His first Canadian release, IZIZI, garnered him several awards including movie and television credits. Currently he is the Producer of a Compilation album in which he contributed four songs to help support the African Heritage Music and Dance Society whose mandate is to grow and support an African Canadian presence in the the industry through festivals and presentations in BC. Today he is honoured to share some of the songs on that release with you. Phyllis Adelyne is a singer/songwriter, recording artist and praise & worship leader. Born in Halifax, NS and has made BC her home for past 40 years. Phyllis often performs at senior centres with a accapella group called Unity. Phyllis has be part of the music scene in BC for last 3 decades; she has taken part in the festivals in the lower mainland from Vancouver to Cloverdale performing jazz, gospel, or r&b; depending on the venue. 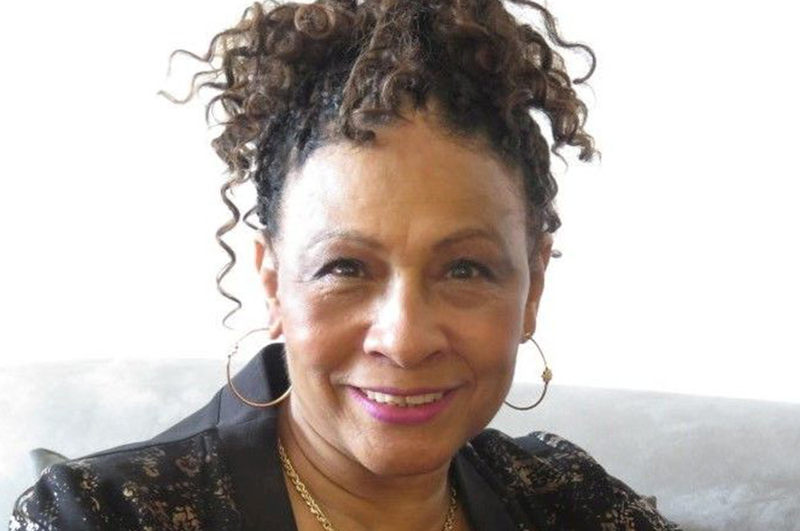 Phyllis Adelyne has been a featured soloist in gospel choirs in Canada as well as the U.S. Phyllis Adelyne’s introduction to singing stems from her home being filled with music with her father being a big influence; that gift has been passed on to other family members. Phyllis can be seen on Vision TV program called Eternally Yours performing her own compositions. She has just completed her 2nd Gospel CD and looking forward to the next music project. Bukola is a self taught 16 year old musician who’s been deeply influenced by Jazz, R&B and unique artists like Tracy Chapman, Amy Winehouse and Whitney Houston. 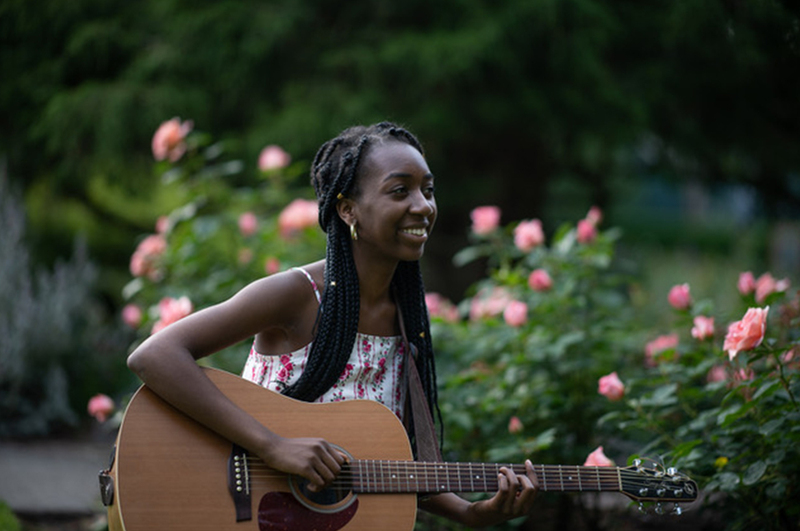 She’s been pursuing her dreams of becoming a professional musician since she was 9 years old and has only been building momentum ever since. The recent grand prize winner the Nimbus Battle of the Bands competition, Bukola has since performed at the JUNO pre-show Let’s Hear it! 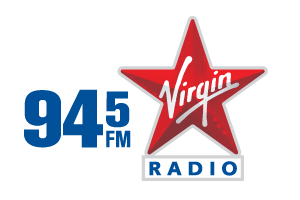 Live, was interviewed by CBC, Metro Vancouver, and has become a very much sought-after young artist by music professionals and fans alike. Her music blends uniquely rich jazz chords and soulful vocals with lyrics about her life and the world around her. Metro News describes her as “the confident up-beat, young woman plays guitar and sings with a simultaneous mastery and innocence”. When listing her inspirations, the article goes on to say that “like them, Bukola is an artist with something to say”. 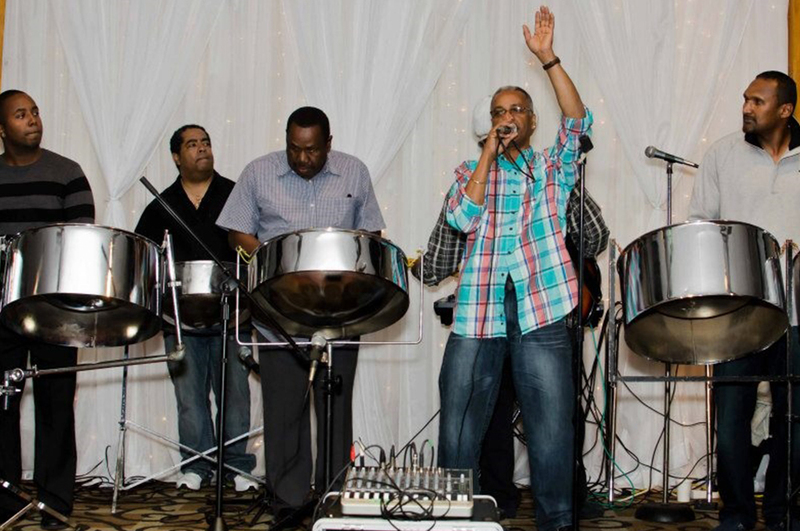 Phase III Steelband has been performing for over 25 years around British Columbia. The band has played for the opening of the Common Wealth Games in Victoria, Expo 86, Caribbean Days Festival, Latin Festival and also performing for opening acts at the Commodore Ballroom. Mbuyiselo, known as “Munkie”, was born in Langa (meaning “Sun”) in Cape Town, South Africa – a Township brimming with talent. He is from the Xhosa tribe and a member of the Ndlovu (Elephant) Clan. Growing up in impoverished township South Africa, his only creative outlet was drumming and started his performance career at the age of 7. Displaying an innate natural talent for drumming and percussion has put him on the trajectory toward becoming the successful Master Drummer that he is today. 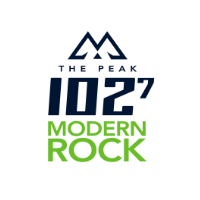 Munkie has played for a wide variety of audiences on a global level. His performing career includes solo performances, Drumming accompanist in various Dance Companies, World Music Bands and Theatre productions. His performance footprint hast taken him throughout South Africa, Asia, North America and Europe. 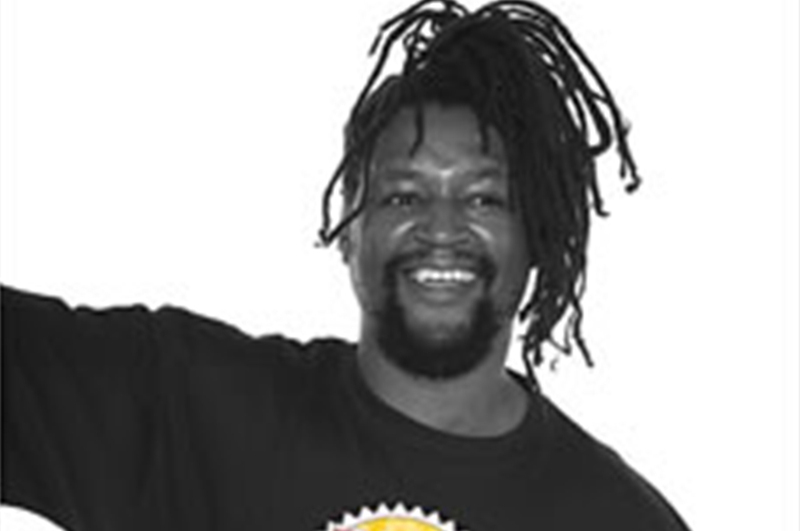 Munkie is regarded as one of South Africa’s top ethnic drummers and revered drum teacher, having perfected the Djembe Drum, Talking Drum, Zimbabwe Master Drums, Zulu Drums and Doun Doun. Other instruments he is proficient at playing are: African Kudu Horn & Flute. In 1996 Munkie joined Drum Cafe with Warren Lieberman and help developed the music now performed globally at the Drum Café. In 2002 he was cast as the lead in Traditional African Drumming in the DrumStruck Theatre production, later to tour off-Broadway for two years and more recently the Edinburgh Festival. After Munkie performed in the 1994 Common Wealth Games in Victoria BC, he fell in love with Canada and its people and in 2002 brought Drum Café to West Canada and has made his home in beautiful British Colombia. She is an award – winning author of many novels, plays and stories in English and French. Among them are: La Fuite, Elusive Freedom and The Diary of an African Woman as well as children`s books, Kokodiko: the dance monster, The Lion, the Rat and the Rabbit. Bobo the Monkey and The Lioness Can Also Roar were shortlisted by The Children Writers Association of Canada and Wole Soyinka Prize for Literature in Africa respectively. 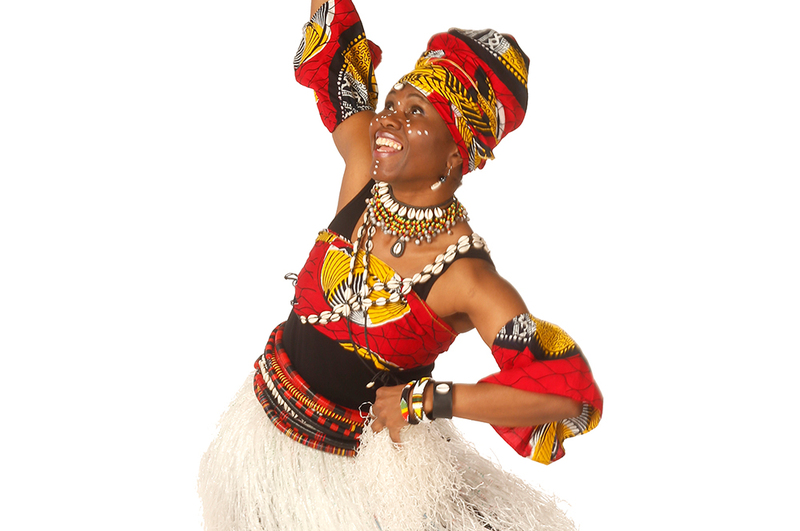 Her most recent theatre productions include: The Dance of the Leopard and Izabobo! An African musical drama. Based in Surrey BC, she has contributed immensely to oral storytelling of the Vancouver Society of storyteller`s various published projects and live performances. Presently, she leads Story-powering workshops for immigrant youths in Vancouver Lower Mainland schools and generally in communities across Canada.